A PDF Poster may be downloaded here: Frances Wood Poster. Frances Wood studied art at Liverpool Art School and then Chinese at the University of Cambridge. She spent a year at the Beijing Languages Institute and Peking University, before completing her PhD work on traditional domestic architecture in the Beijing area. She worked in the School of Oriental and African Studies Library at the University of London before moving to the British Library in the early 1980s. 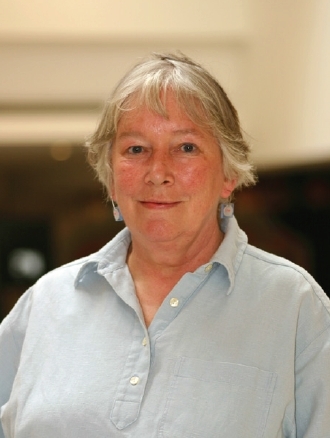 She retired in 2013 after more than 30 years there as curator of the Chinese collections. Dr. Wood is well published on Chinese culture and history; her books include Did Marco Polo Go To China? (1995), The Blue Guide to China (2002), The Silk Road (2003), The Forbidden City (2005) and Picnics Prohibited: Diplomacy in a Chaotic China during the First World War (2014). Dr. Frances Wood’s visit is made possible through the generous support of Willem and Rosalie Stronck. Events are presented by UBC Library (Asian Library and Irving K. Barber Learning Centre) in partnership with the Department of Asian Studies, Institute of Asian Research, Canadian Society for Asian Arts and explorAsian: Vancouver Asian Heritage Month Society.